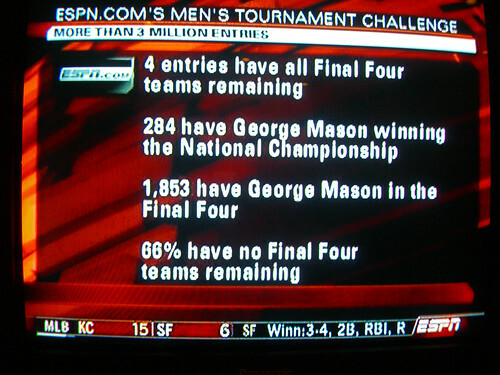 I saw these interesting stats on SportsCenter tonight. One of the four people who picked the correct Final Four explains his picks. It turns out that he picked George Mason by mistake.My final four picks were: Texas, UCLA, U Conn, Villanova. Hey – one out of four ain’t bad. Sirius Satellite Radio announced yesterday that they crossed the 4 million subscriber mark. It took them a little over 3 months to grow from 2 million (September 15th, 2005) to 3 million (December 27th, 2005). It took less than 3 months for Sirius to go from 3 million to 4 million (March 20th, 2006). If they keep up this growth rate, Sirius would end the year with over 7 million subscribers. Sirius’ stock is up significantly over the last week on this news. XM reached 6 million on January 4th, so they will need to announce something about passing 7 million in the next week or so to keep pace with Sirius. I’ll be updating my XM vs Sirius total subscribers graph when I get the latest numbers from XM. Rephotographing my neighborhood in San Francisco. The photo on the left is from today. The one on the right is from 1953. That’s Twin Peaks in the background. The neighborhood in the foreground is called Miraloma Park. Best viewed at full size. 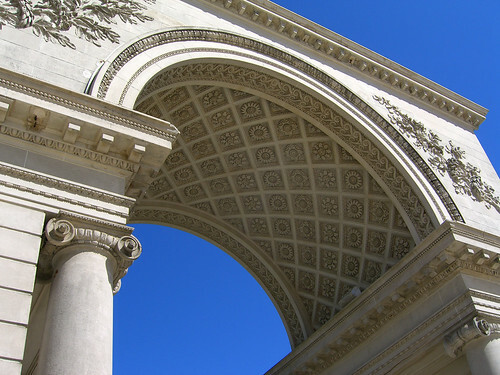 Today at the Legion of Honor.